Chasing powder in Japan’s hottest ski spots. In January and February of the 2014 ski season, 63,967 Australians flocked to Japan for a taste of its famous snow, endless groomed runs and epic scenery. Up 21% on the previous year and with a bumper season predicted for 2015, skiing and snowboarding in Japan has become a booming tourism draw card. Let’s zip around the three main ski regions to find the most popular resorts and what they can offer for snow bunnies. The holy grail of skiing in Japan, Hokkaido is the country’s northernmost island and its second largest. The dropping off point for air or train travel from Tokyo is its capital, Sapporo. Try to time your travels to catch the city’s annual winter snow festival in February, where snow sculptures, snow slides and Sapporo beer fill the streets. From Sapporo, ski resorts are within easy reach and excellent nearby options include Niseko, Rusutsu, Kiroro and Furano. Niseko is made up of a handful of smaller resorts and is a low altitude destination, making it less susceptible to whiteouts. Hugely popular with tourists, it offers deep powder, plenty of groomed runs and Japan’s famous night skiing. For those travelling with a range of boarders and skiiers of varied abilities, its plentiful options make it a great choice. Don’t miss a day trip resting tired muscles in the local onsen and soaking up the beautiful scenery. Rusutsu is another very popular choice and is around 90 minutes from Sapporo’s international airport. With an abundance of natural terrain features and second-to-none tree skiing, it’s a snow-lover’s delight and an easy day trip from Niseko. Lesser known Kiroro is a good option for those after a quieter experience and family-friendly atmosphere. With a kids club and day nursery, it’s great for little ones and has 21 runs catering to all abilities. Spoilt for choice, another excellent option is Furano, a three-hour bus ride from Sapporo. Gaining a reputation for fantastic groomed runs, it has a great mix of terrain options, speedy lifts and is known for having the most blue sky days in Hokkaido. The home of the 1998 Winter Olympics, Nagano offers skiiers and snowboarders plenty of options and is located within easy travelling distance from Tokyo. Shiga Kogen became a popular destination for tourists following the Games and is made up of 21 resorts, interlinked via slopes and lifts. Further north, Nozawa Onsen, known first and foremost for its hot springs, is a popular ski resort. Experience over 30 hot springs in the area, soak up the charming traditional village atmosphere and enjoy plenty of variety on the slopes. Myoko Kogen, found on the border of Nagano and Niigata, is home to some of the deepest, longest powder runs in the country. Made up of three separate resorts, it’s rich in culture and history and with world class powder to boot. Hakuba Valley is another local destination offering 11 ski resorts and an average of 11 metres of snow each year. Resorts in the Tohoku area include APPI, Zao and Hakkoda. 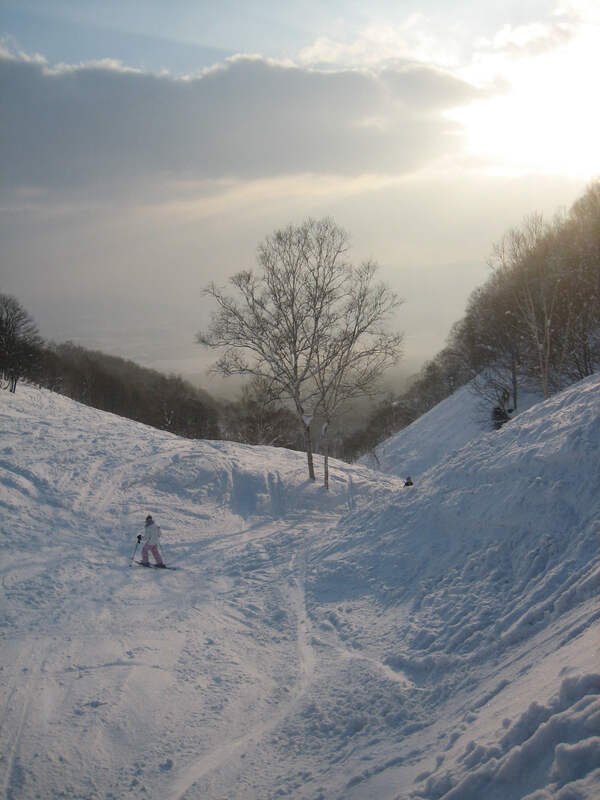 APPI is around 5.5 hours from Narita airport and is known for its well-groomed runs and generally light, dry conditions. There’s excellent accommodation and plenty of high-end facilities for guests. While its signature fir trees clumped with snow give Zao resort, around 3.5 hours from Tokyo, a distinctly otherworldly feel, this onsen town offers excellent runs in a medium sized resort. It’s less touristy than APPI, and has a more traditional Japanese atmosphere. Snow lovers will delight in a trip to Hakkoda, a ski area found in the northern most part of Japan’s main Honshu island. With epic snowfalls, fewer people and plenty of variety, it’s a largely undiscovered spot for snow bunnies visiting Japan and promises plenty of soft landings.